On the 7th October, 2017 at 11.30am , His Holiness Pope Francis received H.E. Mons. Claudio Gugerotti, the Apostolic Nuncio in Ukraine in a private audience. 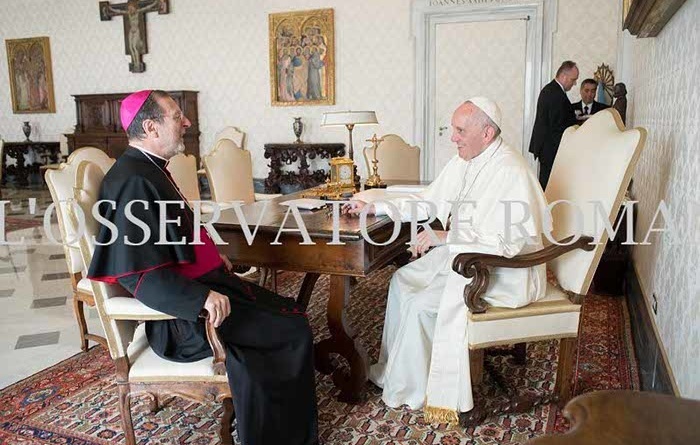 During the meeting, the Holy Father wanted to be fully informed about the political, ecclesial and ecumenical situation in Ukraine, showing particular interest in those who are suffering from the war in Donbass. He also wanted to know the status of his humanitarian initiative “The Pope for Ukraine”. 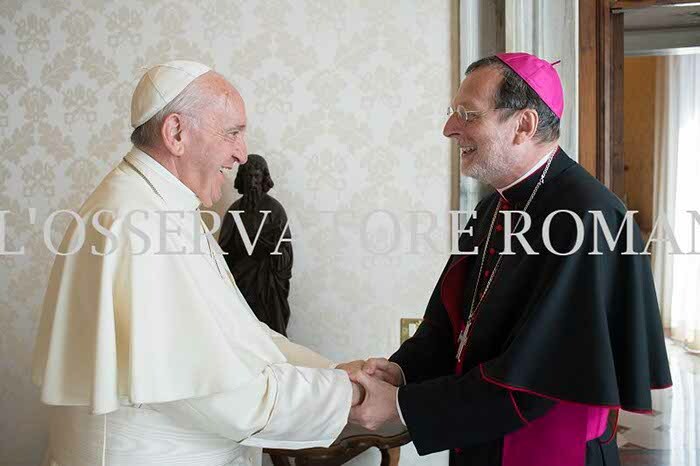 The Pope also gave precise instructions to the Nuncio for his activity and the priorities to be pursued. 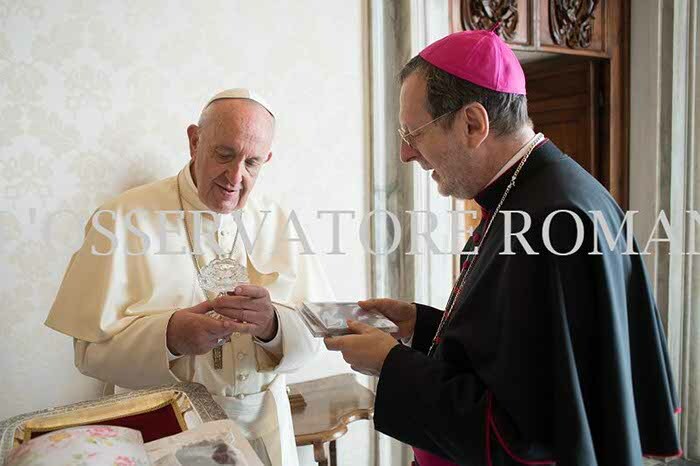 The Apostolic Nuncio presented the Holy Father with a gift consisting of a rose-shaped glass candlestick that the Donbass Catholics offered to the Pope as a sign of devotion and gratitude following the last visit of the Nuncio to the region. Pope Francis asked the Nuncio to express his paternal affection to all the Ukrainians, promising His prayers and blessings.